Public Luxury is the new exhibition by ArkDes, Sweden’s national centre for architecture and design, that proposes a dense, eclectic exhibition of works that tell stories about how our public realm is changing, from architecture and design to citizen campaigns, videogame design, memes, films and more. The show includes many large-scale commissions, both within and outside the museum space, activating the public spaces of the museum in new ways. “The exhibition is not just an invitation to the general public to take part in the discussion about the future of our cities, but also a rich, and fun, experience” says Kieran Long, director at ArkDes. Artist Jonas Dahlberg’s memorial to the victims of the 22nd July attacks in Norway; architect Johan Celsing’s mosque in Rinkeby; three new entry barriers that reimagine anti-terrorist design; and a dance pavilion where anyone can connect their phones to loudspeakers and dance – the exhibition Public Luxury highlights architecture and design that reveals the debate around and the struggle for the Swedish public realm today. 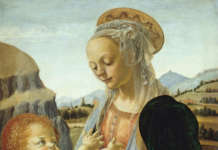 Many of the works and projects have been created for the exhibition. The common denominator in all the various works and projects is that they say something about public spaces today, and they reflect the changes that society is currently undergoing. The exhibition’s title, Public Luxury, tells us that nothing in the public space today exists for practical purposes alone. Architecture and design in our cities should of course satisfy a fundamental need, but every manhole cover, park bench, public toilet and building facade is also a part of our identity. Life-saving design –proposal for three new entry barriers. The attack on Drottninggatan in Stockholm in April 2017 clearly illustrated the need for obstacles that can resist a high-speed collision with a heavy vehicle. ArkDes invited three designers to develop alternatives to the steel and concrete bollards used in many cities around the world. The task was to design entry barriers that also add qualities to the urban environment. 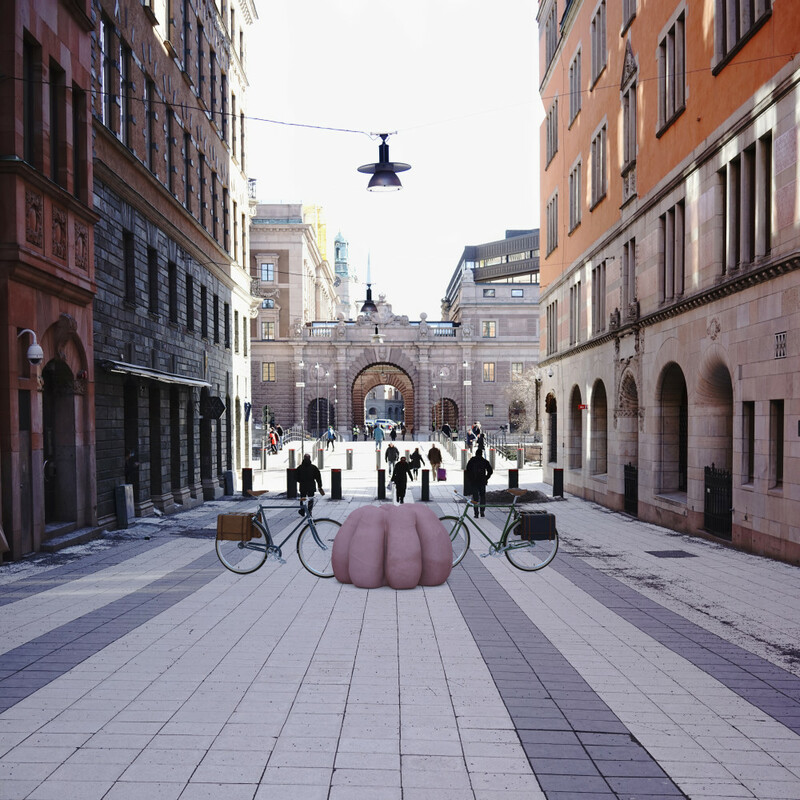 The models of the plant containers, seating furniture and cycle stands created by Björn Dahlström, Clara von Zweigbergk and Hilda Hellström show that objects that prevent violent acts can also help to create open, vehicle-free street environments. 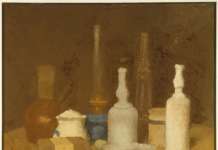 Åsa Jungnelius – A caring space. 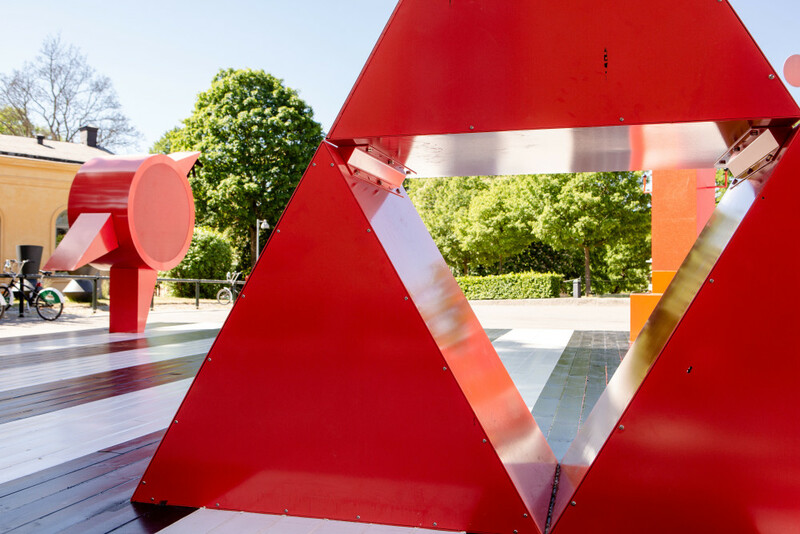 The entrance to the exhibition was created by artist Åsa Jungnelius, as a stage for life in the space outside the museum building. The entrance is based on Snäckan (“The Shell”), the artistic depiction she created for Hagastaden, one of Stockholm’s new metro stations to be completed in the next few years. 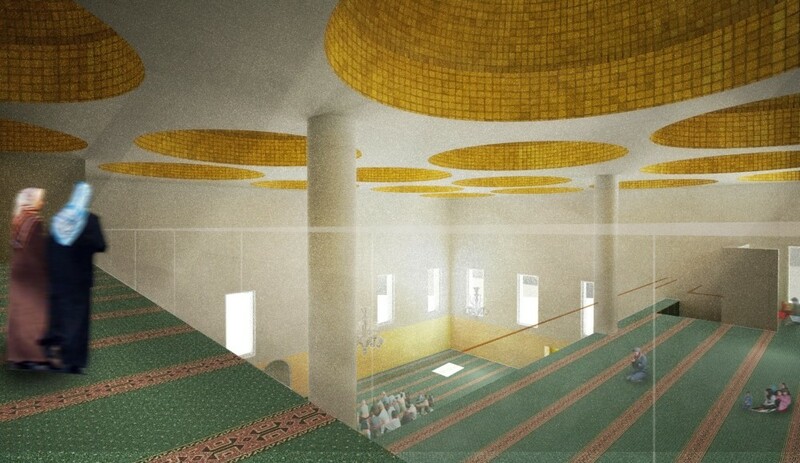 The proposed Rinkeby mosque. By architect Johan Celsing. Visitors will be able to move around under a full-scale model of one of the 18 domes to crown the mosque. 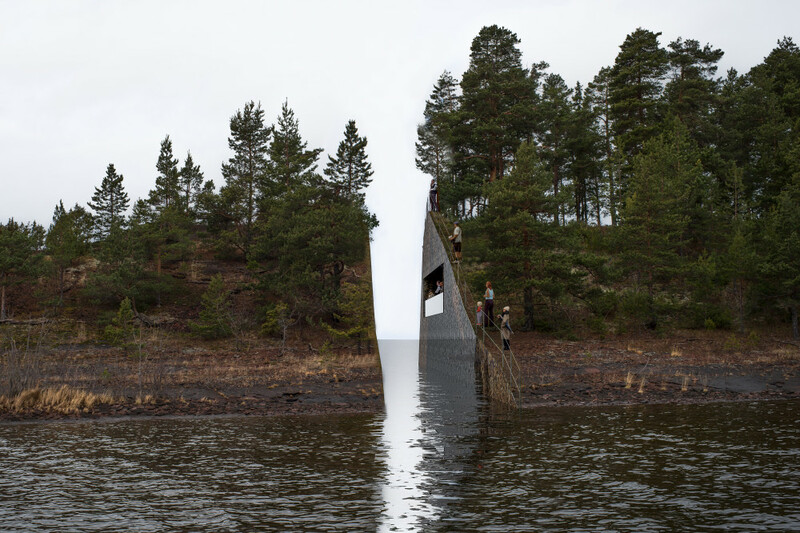 Jonas Dahlberg’s acclaimed, and now cancelled memorials to the victims of the 22nd July attacks in Oslo and Utøya. For Public Luxury, Jonas Dahlberg has created a personal work about the debate and controversy surrounding the withdrawn memorial sites. 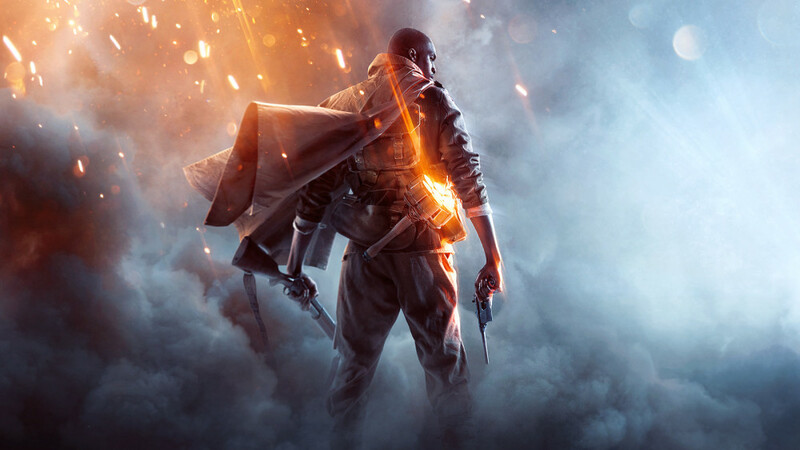 The game series “Battlefield” is more than just one of Sweden’s biggest cultural exports; it’s also a social space that helps to shape millions of young people’s world view. In Public Luxury, the games developers at Dice talk about the values that guide their efforts to create the game’s characters, and the research that goes into correctly reproducing historical events. Dansbana! – where visitors can dance. A dance pavilion is being built outside ArkDes, where anybody can connect their phone to the loudspeakers and start dancing. 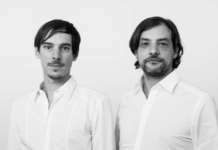 The architects behind Dansbana! (Anna Pang, Anna Fridolin and Teres Selberg) create public spaces for dancing. Dancing is a cultural activity and exercise form that appeals to people of all ages, but particularly young women.